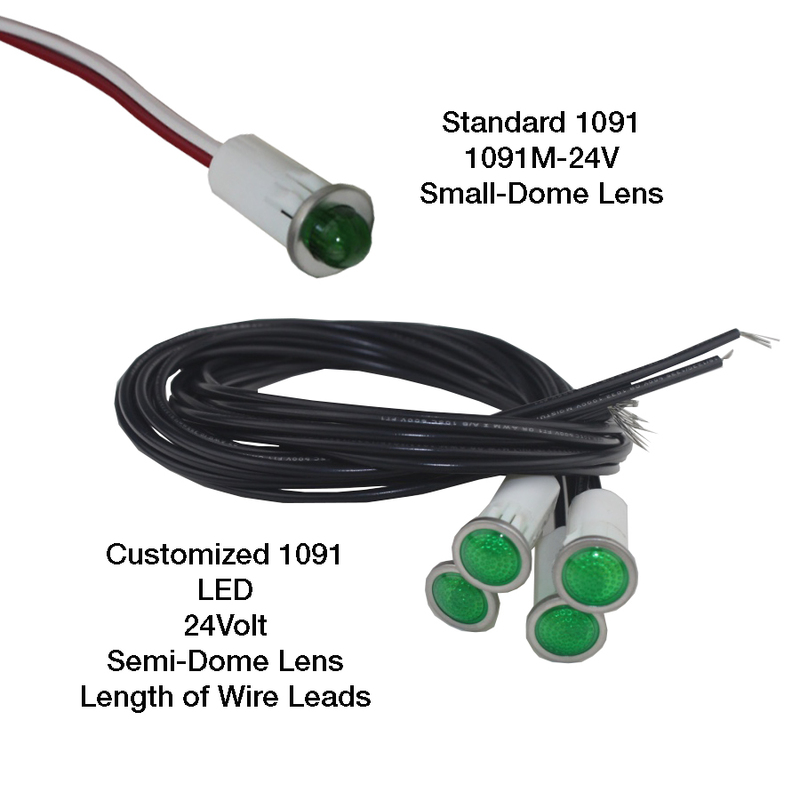 VCC custom product development programs include LED light pipes, special function panel indication, indicator assemblies, LED lenses and more. VCC excels at working closely with OEM Partners throughout the product realization process to design and manufacture the perfect custom LED solution for their applications. With this focused approach, VCC adds value to any product offering, from the simplest indicators to the most complex light delivery requirement. To VCC, the manufacture of high quality products with short lead-times is critical to delivering best-in-class customer service. Thanks to our international production sites and our global fulfillment centers, we offer you efficient and sustainable logistics so you have product on-time. VCC utilizes the latest in high resolution stereolithography (SLA) equipment and a broad variety of resins to quickly produce high-tolerance and accurately detailed prototypes. Company was designing a compact, self- contained, trailer-mounted, electric motor driven Liquid Coolant Supply (LCS) cart designed to supply chilled coolant to an aircraft liquid coolant loop while the aircraft is on the flight deck. A large format daylight visible indicator was needed, that also had to be shielded from electromagnetic interference (EMI). 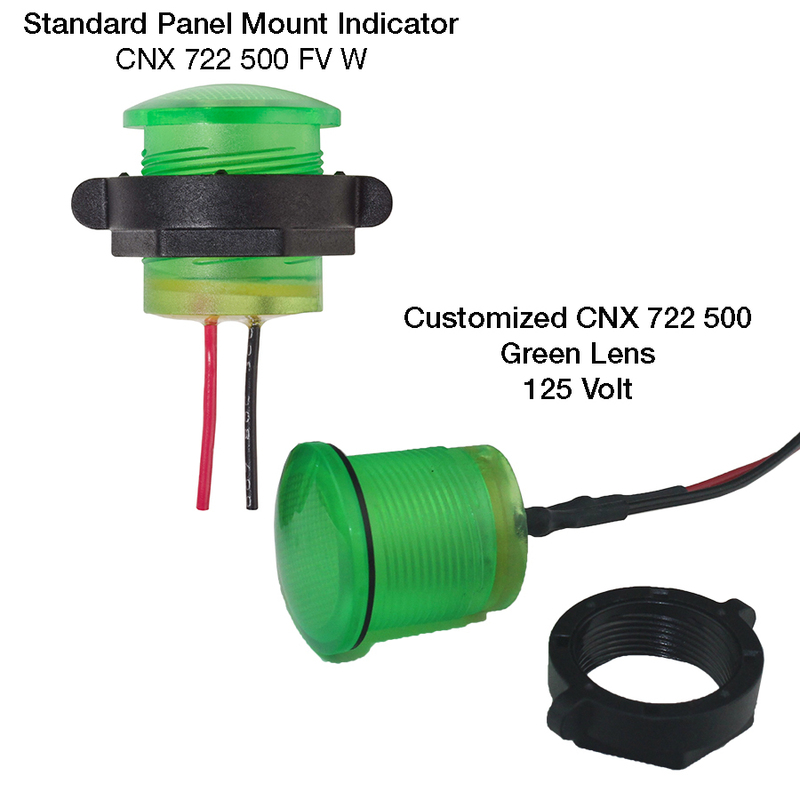 VCC designed a customized indicator that delivered the EMI shielding and daylight visibility that were required by the Company. 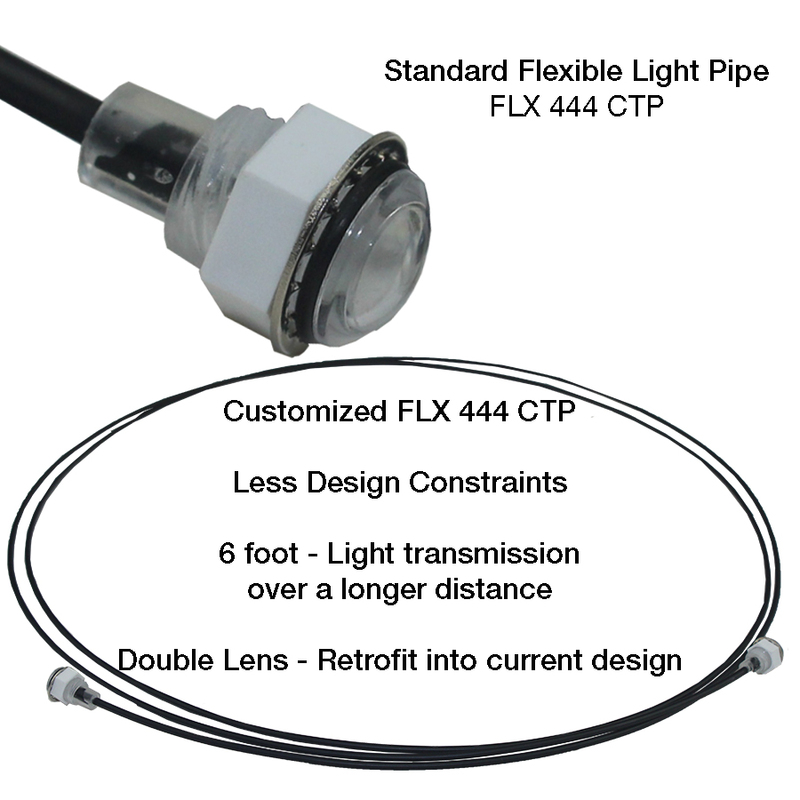 In order to maximize the LED intensity and viewing angles, VCC incorporated its existing HMS 462 lens into the product. This patented Fresnel lens design is resistant to dust, water, oil, and high vibration environments. By incorporating this existing product, VCC was able to eliminate an tooling costs that would have been otherwise required. Start a conversation with one of sales engineers today.